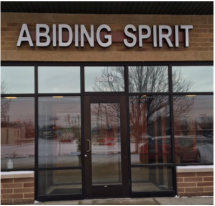 ​The Abiding Spirit Center, located in Crystal Lake - Illinois, is a 501(c)3 non-profit organization providing resources that focus on empowering the individual, improving health and strengthening relationships through the use of natural, traditional and creative avenues which utilize mind, body, spirit connections. We serve the communities of McHenry, Lake, Cook, Kane and Will Counties, IL, including Crystal Lake, Algonquin, Lake in the Hills, Elgin, Carpentersville, Cary, Woodstock, Huntley and other nearby cities. The primary goal of the Abiding Spirit Center is to bring traditional wellness activities to our community, reaching out to as many people as have interest. The classes and resources offered at the Center are not a means to an end. They are “a means to a way” that can lead one to a healthier, more balanced life through such things as Acupuncture and Oriental Medicine, Aikido (the way of harmony of the spirit), and specialized meditation and Yoga workshops, as well as other activities and services. ​The Center relies on donations, grants and fees from members to continue offering our programs and services to our community, though access to services and participation in activities is not based on ability to pay. We will never turn away someone with need or interest based on ability to pay. With this in mind, provisions are in place for those who qualify. Contact us HERE if you need financial support to participate in our programs or obtain our services. We are here to serve the community.